MG Circles The Octagon With The NBL. | | A Wheel Thing. MG Circles The Octagon With The NBL. MG Motor Australia has pulled off what could be the world’s first motor and round ball sports coup. 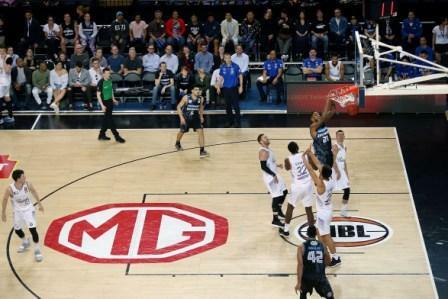 Australia’s National Basketball League, or NBL, has partnered with MG to to reveal an octagonal shaped key on court. Regular basketball players will be aware of the centre section of the court being a circle, as is the scoring zone, or key, in front of the baskets. But for 28 games throughout the forthcoming 2018/2019 season, sponsored by Hungry Jack’s, the key will be replaced by the distinctive MG Motor octagon. The octagonal key debuted during the season tip-off in New Zealand, seeing the first octagonal on Thursday 11 October. 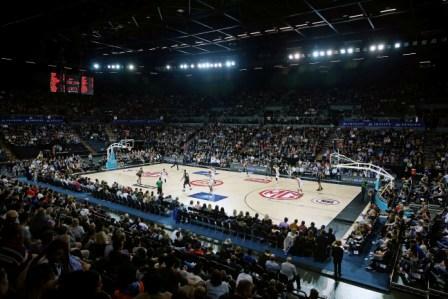 Australia saw it in a game between the NSW based Illawarra Hawks, and the Victorian Melbourne United. Another early release was seen between the Sydney Kings and Adelaide‘s 36er’s. Neither team from NSW were victorious. It’s a three year deal between the NBL and MG Motor Australia, and there’s some real incentive from MG in the form of a ZS being awarded to the seaon’s winner. This comes on the back of MG being confirmed as the presenting partner of the NBL Grand Final Series. The next showing of the MG Motor Australia octagonal will be on 21 October, with the Cairns Taipans taking on the Illawarra Hawks in Cairns. Be the first to comment on "MG Circles The Octagon With The NBL."